LONDON, Apr 10, 2011/ — Esquire magazine, the leading authority on men’s style in the UK, has joined forces with designer online retailer my-wardrobe.com to launch the second annual search for the U.K.’s country’s Best Dressed Real Man 2011. Following the runaway success of last year’s competition which crowned Ross Hancock, a 34-year-old tailor from east London, Esquire’s Best Dressed Real Man 2010, the search commences in Esquire’s May issue (on sale 4 April). 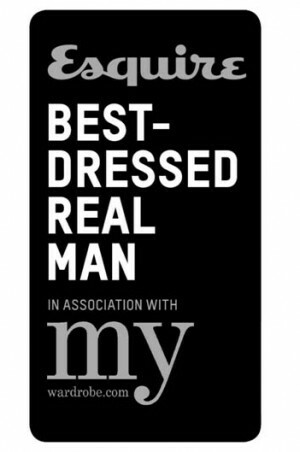 A six-month, multi-platform campaign, Best Dressed Real Man 2011 encompasses editorial, promotions, a bespoke ‘Best Dressed’ channel on www.esquire.co.uk and regional style events, as well as dedicated Twitter and Facebook activity. Any man in the country can nominate himself for the title of Britain’s Best Dressed Real Man, or for people to nominate friends or colleagues. Both Esquire and my-wardrobe.com will also style-scout throughout the UK, with fashion teams visiting cities to find others they feel should be included in the search. A panel of Esquire and my-wardrobe.com tastemakers, from designers to fashion critics to style icons, will judge the competition with the shortlist appearing in the September issue and the winner appearing on the cover of Esquire’s October issue. The search will also culminate in an exclusive VIP event in September. Esquire will also publish a 16 page bound-in supplement in the October issue with style advice for real men, drawing on the magazine’s unsurpassed and award-winning style and grooming expertise. Esquire’s Best Dressed Real Man 2011, in association with my-wardrobe.com, launches in the May issue of Esquire, on sale starting April 4th.